Above: We boarded the Norwegian Jewel yesterday—then my other half got a cruise-themed video on YouTube. Hat tip to Punkscience for this one. My other half and I noted that her YouTube gave her a cruise-themed video from 2013 after we boarded the Norwegian Jewel yesterday for a visit. Punkscience found this article in The Guardian (originally reported by Quartz), where Google admitted that it had been tracking Android users even when their location services were turned off. The company said it would cease to do so this month. It’s just like Google getting busted (by me) on ignoring users’ opt-outs from customized ads, something it allegedly ceased to do when the NAI confronted them with my findings. It’s just like Google getting busted by the Murdoch Press on hacking Iphones that had the ‘Do not track’ preference switched on, something it coincidentally ceased to do when The Wall Street Journal published its story. There is no difference between these three incidents in 2011, 2012 and 2017. Google will breach your privacy settings: a leopard does not change its spots. Now you know why I bought my cellphone from a Chinese vendor. Speaking of big tech firms breaching your privacy, Ian56 found this link. It’s why I refuse to download the Facebook app—and here’s one experiment that suggests Facebook listens in on your conversations through it. A couple, with no cats, decided they would talk about cat food within earshot of their phone. They claim they had not searched for the term or posted about it on social media. Soon after, Facebook began serving them cat food ads. We already know that Facebook collects advertising preferences on users even when they have switched off their ad customization, just like at Google between 2009 and 2011. Now it appears they will gather that information by any means necessary. This may be only one experiment, so we can’t claim it’s absolute proof, and we can’t rule out coincidence, but everything else about Facebook’s desperation to get user preferences and inflate its user numbers makes me believe that the company is doing this. Facebook claims it can do that when you approve their app to be loaded on your phone, so the company has protected itself far better than Google on this. Personally, I access Facebook through Firefox and cannot understand why one would need the app. If there is a speed advantage, is it worth it? This sort of stuff has been going on for years—much of it documented on this blog—so it beggars belief that these firms are still so well regarded by the public in brand surveys. I’m not sure that in the real world we would approve of firms that plant a human spy inside your home to monitor your every word to report back to their superiors, so why do we love firms that do this to us digitally? I mean, I never heard that the KGB or Stasi were among the most-loved brands in their countries of origin. Last week was an interesting one for computer bugs. Apple took 42 attempts to install the latest Itunes update on one Mac (and that was the good one that normally presents no issues with updates), but, to its credit, once it was done there were no further problems. Windows, however, gave me a few headaches and I’m recording the solutions here for others who might have the same, since what I’ve read online doesn’t always apply. The old laptop was freezing every time I used Firefox. God help us, I even downloaded Chrome when I was in the Philippines, since it was the only browser compatible with YouTube, to which I had to upload a few videos for work. (Internet Explorer kept producing an error, with YouTube saying I had to get the latest version, and Microsoft saying I had the latest version.) And no, I didn’t accidentally turn on my search history since the dates don’t even correspond, and I was using another account. Fix: remove Avast. The bug had been plaguing that work machine for a few weeks and I had an inkling it was Avast. One of the team had accidentally allowed an Avast 30-day trial to proceed, which was the root of the problems. It was roughly at this time the issues began. I had downgraded back to the standard one, but things were so irreparably damaged that the only solution was removal altogether. That laptop is back to AVG, although Microsoft Security Essentials is recommended to me. My main desktop computer, which is running Windows 7 (since Microsoft has been completely silent on how to upgrade to Windows 10, with the advisory box giving me no clues other than I am in the queue), began freezing me out earlier this week. Twice at night the keyboard and mouse became unresponsive, although the computer itself had not hung: things were happening in the background normally. I had to do a hard reset twice that night, and had a painless day for the subsequent day, but then the bug recurred around 10 times on Friday. In the meantime, should this happen, putting the computer to sleep works, which, like most bugs, seems to be the opposite of the advice you get. I was still able to access the computer via VNC on Android, and control it through there. Putting the PC to sleep (discovered entirely by accident) and then awakening it worked in getting keyboard and mouse control back. You begin suspecting certain things. Keyboard and mouse faulty? You would hope not, since I spent NZ$160 on the former, though it is under warranty. On two occasions I heard a USB disconnect sound. However, both were checked and appear to be fine. I altered some USB sleep settings, but they made no difference (and were put back to default). Hacked? Actually, yes. I run TightVNC, and there were repeated hacking attempts from IP addresses in the US, the Netherlands and Colombia of late. These were added to the firewall and the TightVNC program updated to the latest version. The Event Viewer had picked these up. But the bug persisted and even became more regular. Was it to do with the Windows Error Reporting service? I had not signed up, and it was switched off, but I still went into the Task Manager and disabled the associated tasks. No joy, nothing changed. One person wrote that they experienced this error after downloading the Intel update driver utility, which I had done so, too, after Microsoft advised that I had Intel issues and was unable to upgrade to Windows 10. That was in August, but it was close enough to the September bug—and I had been away, after all—that it was a possibility. I removed it, but, the bug continued. I did the usual disk checks and verified the hard drive. I see Google has messaged me in Webmaster Tools about some sites of ours that aren’t mobile-friendly. No surprises there, since some of our sites were hard-coded in HTML a long time ago, before people thought about using cellphones for internet access. The theory is that those that don’t comply will be downgraded in their search results. When you’re told one thing and the opposite happens, over and over again, you get a bit wary. To test my theory, I fed in some of our Wordpress-driven pages, and had varying results, some green-lighted, and some not—even though they should all be green-lighted. Unless, of course, the makers of Wordpress Mobile Pack and Jetpack aren’t that good. Caching could affect this outcome, as do the headers sent by each device, but it’s a worry either for Google or for Wordpress that there is an inconsistency. I admit we can do better on some of our company pages, as well as this very site, and that’s something we’ll work on. It’s fair enough, especially if Google has a policy of prioritizing mobile-friendly sites ahead of others. The reality is more people are accessing the ’net on them, so I get that. But I wonder if, long-term, this is that wise an idea. Every time we’ve done something friendly for smaller devices, either (a) the technology catches up, rendering the adaptation obsolete; or (b) a new technology is developed that can strip unwanted data to make the pages readable on a small device. Our Newton-optimized news pages in the late 1990s were useless ultimately, and a few years later, I remember a distributor of ours developed a pretty clever technology that could automatically shrink the pages. I realize responsive design now avoids both scenarios and a clean-sheet design should build in mobile-friendliness quite easily. Google evidently thinks that neither (a) nor (b) will recur, and that this is the way it’s going to be. Maybe they’re right this time (they ignored all the earlier times), and there isn’t any harm in making sure a single design works on different sizes. I have to admit as much as those old pages of ours look ugly on a modern screen, I prefer to keep them that way as a sort of online archive. The irony is that the way they were designed, they would actually suit a lot of cellphones, because they were designed for a 640-pixel-wide monitor and the columns are suitably narrow and the images well reduced in size. Google, of course, doesn’t see it that way, since the actual design isn’t responsive. Also, expecting these modern design techniques to be rolled out to older web pages is a tall order for a smaller company. And that’s a bit of a shame. It’s already hard finding historical data online now. Therefore, historical pages will be ranked more lowly if they are on an old-style web design. Again, if that’s how people are browsing the web, it’s fair: most of the time, we aren’t after historical information. We want the new stuff. But for those few times we want the old stuff, this policy decision does seem to say: never mind the quality, it’s going to get buried. I realize Google and its fans will argue that mobile-friendliness is only going to be one factor in their decision on search-engine ranking. That makes sense, too, as Google will be shooting itself in the foot if the quality of the results wasn’t up to snuff. At the end of the day, content should always rule the roost. As much as I use Duck Duck Go, I know more people are still finding us through Google. What will be fascinating, however, is whether this winds up prioritizing the well resourced, large company ahead of the smaller one. If it does, then those established voices are going to be louder. The rich melting pot that is the internet might start looking a bit dull, a bit more reflective of the same-again names, and a little less novel. Nevertheless, we’re up for the challenge, and we’ll do what we can to get some of our pages ship-shape. I just don’t want to see a repeat of that time we tailored our pages for Newtons and the early PDAs. Since the Electoral Commission has imposed a ban on Darren Watson’s ‘Planet Key’—in fact, it can never be broadcast, and apparently, to heck with the Bill of Rights Act 1990—I felt it only right to help him express his great work, in the best tradition of William Shatner covering ‘Rocketman’. This has not been endorsed by Mr Watson (whom I do not know), and recorded with crap gear. I’ve read the Electoral Act 1993 and the Broadcasting Act 1989, but I still think they’re trumped by the Bill of Rights Act 1990. Legal arguments aside, I agree with Darren, that his expression of his political view is no different from Tom Scott drawing a cartoon. He has a right to freedom of thought and a right to express it. The Electoral Commission’s position seems to centre around his receiving payment for the song to cover his and his animator’s costs—which puts it in the class of an election advertisement. Again, I’m not sure how this is different from the Tom Scott example. Tom is paid for his work, albeit by the media who license it. Darren doesn’t have the backing of media syndication, so he’s asking for money via sales of the song on Itunes. We pay for the newspaper that features Tom’s work, so we can pay Itunes to download Darren’s. Tom doesn’t get the full amount that we pay the newspaper. Darren doesn’t get the full amount that we pay Itunes. How are they different? Is the Commission saying that only people who are featured in foreign-owned media are permitted to have a say? This is the 21st century, and there are vehicles beyond mainstream media. That’s the reality. 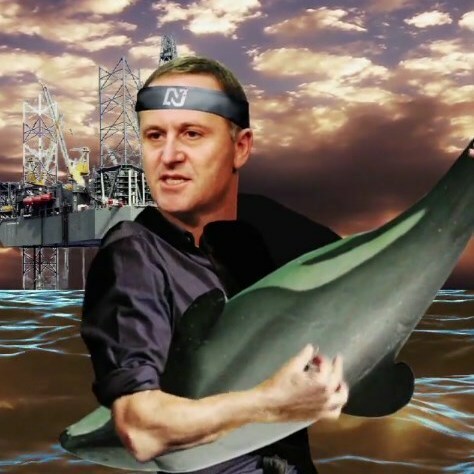 The good news is that other Kiwis have been uploading Darren’s song, with the Electoral Commission saying, ‘if the content appeared elsewhere online, it would not require a promoter statement if it was posted as the expression of a personal political view and no payment was involved,’ according to Radio New Zealand. Darren might not be making money like Tom Scott does, but his view is still getting out there. On that note, I’m sure you’d much rather hear the original than mine. If you ever see Darren’s gigs out there, please support him through those. When surfing, there are precious few people who, like me, de-Googled their lives. There’s the odd blog post here and there, but, overall, those of us who took the plunge are few and far between. It still puzzles me, given the regular privacy problems that I find on Google Dashboard (Google supporters will argue that at least they have a dashboard—Facebook doesn’t). Google generates revenue primarily through advertising. Through its DoubleClick advertising platform it sets third-party cookies — small files in consumers’ Web browsers — that enable third-party advertisers to gather information about those consumers, including their Web surfing habits. By default, Apple’s Safari Web browser is set to block third-party cookies, but from June 1, 2011 to February 15, 2012, Google circumvented Safari’s default privacy settings and set third-party cookies on Safari Web browsers. Google disabled the circumvention method in February 2012 after the practice was widely reported on the Internet and in the media. The attorneys general allege that Google’s circumvention of the default privacy settings violated state consumer protection laws and related computer privacy laws. The states claim that Google failed to inform Safari users that it was circumventing their privacy settings and gave them the false impression that their default privacy settings would block third-party cookies. In turn, users’ Web surfing habits could be tracked without the users’ knowledge. My blogging about something and going to the Network Advertising Initiative is nothing compared to when the US media gets hold of it. Maybe I could have gone to the US media at the time, but chose not to. I still believe it shows a pattern here about Google’s corporate culture, and that the company will do anything when it comes to its profitable, multi-milliard-dollar advertising business. However, the pay-out, of US$17 million, is around four hours’ worth of Google Adwords’ earnings. So really, we’re not talking about a huge amount here. Maybe Apple Safari users just aren’t worth that much? On that note, I’m wondering whether we should wind down our Feedburner subscriptions in favour of the default one on Wordpress. It’s much uglier, but it’s not Google. As Google still refuses to resolve the problem about holding on to my old blog data without my permission, the only recourse may be to kill my entire Google account. I’ve now removed my membership of one Analytics account (it only took Google a few years to get that sorted—but less than the four years it took to get my confidential information off Adsense), and there are a few other work things still tied to it, including the Lucire Google Plus page. On a similar note, I see some people are upset this month about being forced to get a Google Plus account just to comment on YouTube, including YouTube co-founder Jawed Karim (though probably not upset enough to de-Google in most cases). My advice: you really won’t miss commenting on YouTube, since I refused to link my basic Google account with my YouTube several years ago. Get a blog and write your own entry if you want to comment publicly, or write a Tweet or Facebook status update with the YouTube video link, and get things off your chest that way. It’s worked for me and I don’t have to engage some of the daft things that appear among YouTube comments. As to the YouTube commenting petition, I have a feeling Google won’t care, unless you’re prepared to fight them for years, which is what I had to do to get some basic private data off their systems. In all my recent posts, I’ve stopped short of saying that Google hacked us, but that the code inserted had Google’s name all over it. But if Google was party to or had profited from hacking, then it wouldn’t be the first time, right? Remember when Google hacked the Safari browser to track Iphone users? That time, it used a trick inside its Doubleclick ad code to fool the Safari browser, so that it provided tracking data back to Google and related ad networks, even when users had opted out of being tracked. But we all know about how opting out does not mean opting out when it comes to Google. 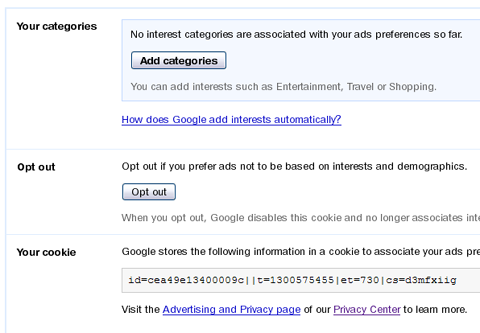 We know how Google did not respect your privacy when it came to advertising in the case that was exposed on this blog in 2011, and lied about what its Ads Preferences Manager’s opt-out feature did. The warning signs were all there in the early 2010s, and if any code should be classed as malicious, it’s Doubleclick’s. I bet Google’s malware bots never picked up those as being malicious in 2012 when they were sending Apple Iphone data back to the company. Despite all this, a lot of people still believe that Google’s culture is ‘Don’t be evil.’ The way I see it: it takes quite a bit of effort to engage in these techniques.